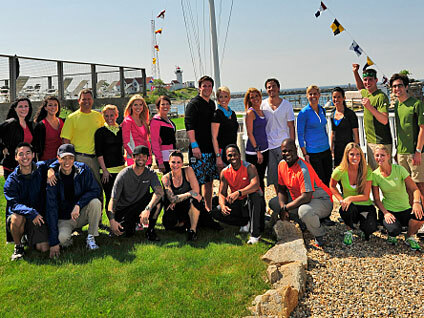 NEW YORK (CBS) Eleven new teams are set to compete on the 17th season of "The Amazing Race." CBS announced the lineup Wednesday. It includes a team of home shopping hosts, newly dating couples, an Internet entertainer, Ivy League a cappella singers and a birth mother/daughter team who recently reunited after the mother gave her newborn daughter up for adoption more than 20 years ago. The racers will travel over 32,000 miles, covering four continents and 30 cities, with first-time visits to Bangladesh, Ghana and the Arctic Circle. Additionally, for the first time in the history of the show, the team to finish in first place during the premiere episode will be awarded a surprise, game-changing advantage, according to a news release from the network. "The Amazing Race" will premiere with a special 90-minute debut on Sunday, Sept. 26, at 8:30 p.m. EST. Hometown: Marina Del Ray, Calif.